Last week in Alternative Cars Part 5 - Steam we looked at the possibility of cars powered by steam. This week, we look at hybrid cars. Unlike most of the other types of cars covered in this series, hybrid cars – those that mix battery electric power with conventional internal combustion engines – already exist. The Toyota Prius is the best known hybrid, but nearly every manufacturer has hybrids in development. So are hybrids the way of the future? Hybrid cars attract widely – and wildly – differing claims as to their merit. Rather like the rotary engine story of the 1970s, some see them as a panacea to the ills affecting conventional engines while others see them as quite pointless. Again rather like the rotary, the on-going success of hybrids will depend on how manufacturers choose to the use of the technology, and whether or not alternative automotive technologies overcome the advantages that hybrids currently have. A hybrid car uses a driveline that consists of a largely conventional internal combustion engine, one or two electric motor/generators, and a battery pack. In the more sophisticated hybrids, the electric motor/generator and the internal combustion engine (ICE) are linked by a special transmission that allows the wheels to be driven by electric power alone, ICE alone or a stepless combination of the two power sources. The battery pack of current production hybrids consists of a large number of nickel metal hydride cells in series, providing a high voltage but relatively small total capacity. Electronically commutated (ie brushless) electric motor designs are used, with the high power switching circuitry sometimes cooled by a fluid system separate to the ICE’s cooling system. Electronic control determines the mix of electric and ICE power used in any given driving situation. Control strategies take into account aspects such as driver throttle input, high voltage battery level, road speed and emissions requirements. 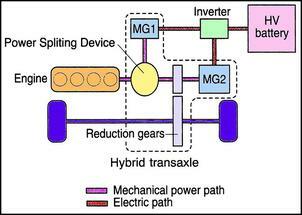 Nearly all hybrids drive as two pedal automatic transmission cars. When stationary and/or slowing for a stop, hybrids turn off the ICE. Automatic re-starting occurs through the use of one of the motor/generators acting as a very high power starting motor. To run the air-conditioning compressor, power steering and brakes when the ICE is not operating, electric assistance is used for each of these systems. So-called mild hybrids employ smaller battery and electric motor/generator capacities. In these cars, the electric motor cannot power the car; it can act only as an ICE assist. Mild hybrids still use regenerative braking and turn the ICE off when the car is stationary. Converting an existing car into a mild hybrid is a far easier and cheaper design exercise than building a full hybrid from scratch. In city traffic, hybrids achieve excellent fuel economy and very low emissions outputs. This is especially the case in stop-start traffic, where for much of the time the hybrid will use electric power alone. In fact, no other production cars can match hybrids for economy and emissions in slow city conditions. With the ICE off, the hybrid is also smooth and quiet. For their total driveline power output, hybrids accelerate quickly from a standstill. 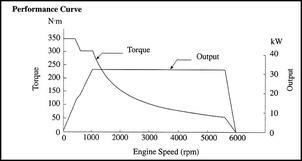 This is largely because of the characteristic strong low-speed torque curve of the electric motor. The magnitude of hybrid advantage depends very much on the manufacturer’s approach to the use of the technology. 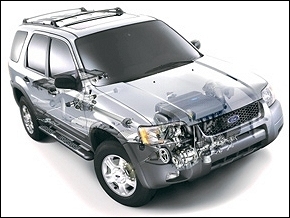 For example, fitting a mild hybrid driveline to a large SUV gives advantages in fuel economy over conventionally-powered SUVs but in absolute terms, the mild hybrid SUV still achieves poor fuel economy and emissions. When used for open road, relatively high speed driving, most hybrids return fuel economy and emissions that are only a little better than the very best of conventional cars. However, note that this is depends on the design of the hybrid system and car – the 1999 hybrid Honda Insight has world’s best open-road fuel economy. The high voltage battery pack has a life that is likely to be substantially shorter than the rest of the car. The pack, that has a high replacement cost, is not currently being factored by manufacturers into the consumer’s lifecycle cost of the car. Hybrid technology is currently undergoing a major change in direction. The first modern hybrids (‘modern’, because hybrid petrol/electric cars existed in the 1920s!) 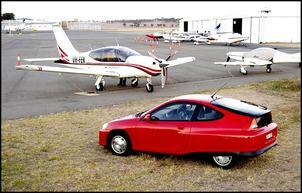 were the Toyota NHW10 Prius and the Honda Insight. Both cars were purpose-designed hybrids that were also very efficient cars in their own right – even if they’d been fitted with conventional drivelines. 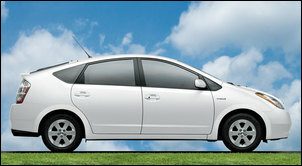 The design of the NHW20 Prius (the current, very successful model) built upon the philosophy of the original Prius. However, manufacturers - including pioneers Toyota and Honda - are now frequently fitting much more powerful hybrid drivelines to otherwise conventional cars. These cars achieve performance similar, or in some cases even better, than ICE-powered equivalent cars but have relatively poor absolute fuel economy and emissions figures. The advantages of hybrid drivelines remain, irrespective of the size and/or power of the car. 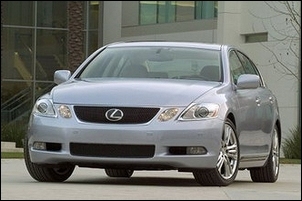 However, it is confusing to the public when a hybrid car has fuel economy that is simply nothing special. To convince the public that a hybrid car is worthy of purchase not because of clear fuel economy and emissions benefits, but because of its performance/economy/weight compromises, is to try to establish a whole new paradigm in the minds of buyers. Honda has not found great success with its Civic and Accord hybrids (and its Insight was too expensive), and Toyota’s success with its high-powered Lexus hybrid models has so far been limited. We will be surprised if the hybrid SUVs being manufactured by US car makers prove to be a major success. It is rumoured that Toyota will capitalise on the success of their Prius brand-name by releasing three different Prius models aimed at different markets, including performance, load carrying and pure economy/emissions cars. Unless each car has exceptional fuel economy, this strategy risks diluting the Prius brand – a brand that is currently the envy of the world’s carmakers. Manufacturers need to focus again on environmental and consumer cost efficiencies in their hybrid models – aerodynamics, rolling resistance, ICE design, battery technology and battery lifecycle costs. The Prius, a hugely brave and innovative car, has created a new word in the automotive lexicon. But what the world is now waiting for is the next step – 10 years after the release of the first Prius, a new car that uses the best of existing and new technologies to achieve a fuel economy, emissions and total lifecycle consumer cost that is superior to anything on offer. Such a car would use an aluminium body, have a drag co-efficient close to 0.25, have good ride and handling, 5-star crash testing safety, be under 1200kg, would carry four adults comfortably and achieve city and country economy of around 4 litres/100km. In addition, the battery pack would have a nominated, nominal replacement cost for the life of the car. When they were released, auto makers outside of Japan dismissed the Prius and the Insight as irrelevancies. Now hybrids are appearing thick and fast. However, there still remain important steps to be taken if hybrids are to be a long-term success.